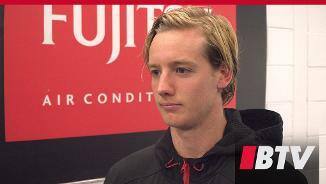 A shift to the forward line proved to be a good move for youngster Darcy Parish against the Tigers on Saturday night. 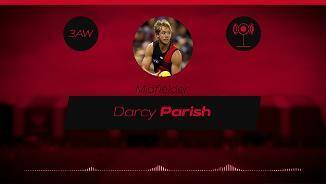 Darcy Parish’s round 2 nomination for the NAB Rising Star award has brought the Club back to the top of the list for all-time nominations. 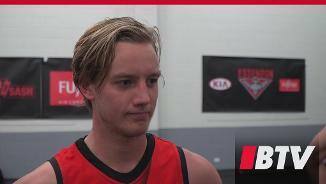 Essendon Line Coach Guy McKenna says Darcy Parish has the mental strength to back up his strong round one performance. Exciting midfielder who is prepared to enter the prime of his career after three good seasons for the Bombers. A tough on-baller with good skills and awareness in traffic, Parish has already chalked up 55 games in his short time at the club and proven to be an important cog in the side’s midfield brigade. 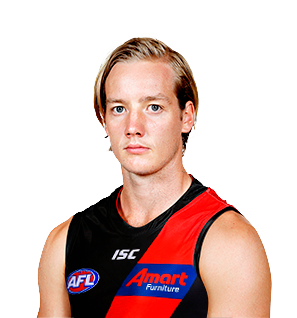 The young Bomber is among the club’s most exciting players and will continue to develop into one of the side's leading midfielders capable of tearing up the opposition both within the contest and in clear air. While he was restricted to 15 games in 2018, Parish is expected to be a crucial part of the side in 2019.